I have just added lighthouse keeping to my bucket list. Visitors approach the lighthouse after a 2-mile hike through the sand dunes from the park visitors’ center. 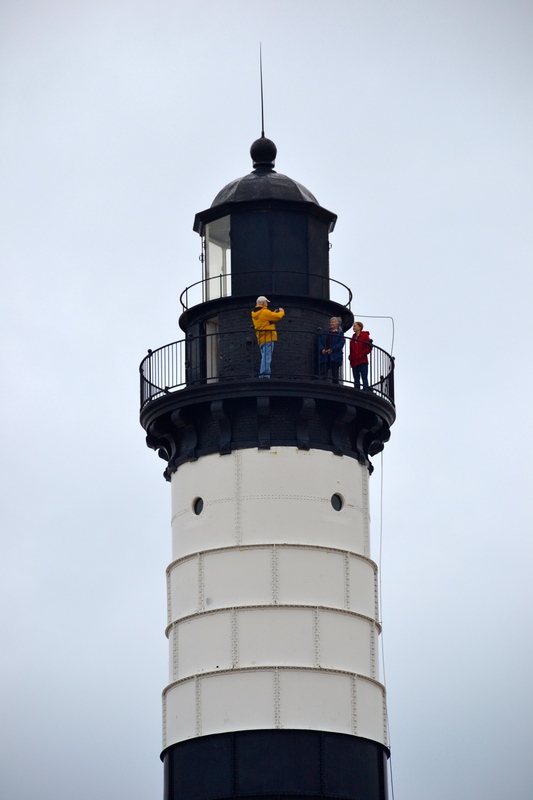 Kaye and I just spent some time at Ludington, Michigan, where we visited with the lighthouse keepers who are volunteering at the historical Big Sable Point Lighthouse. 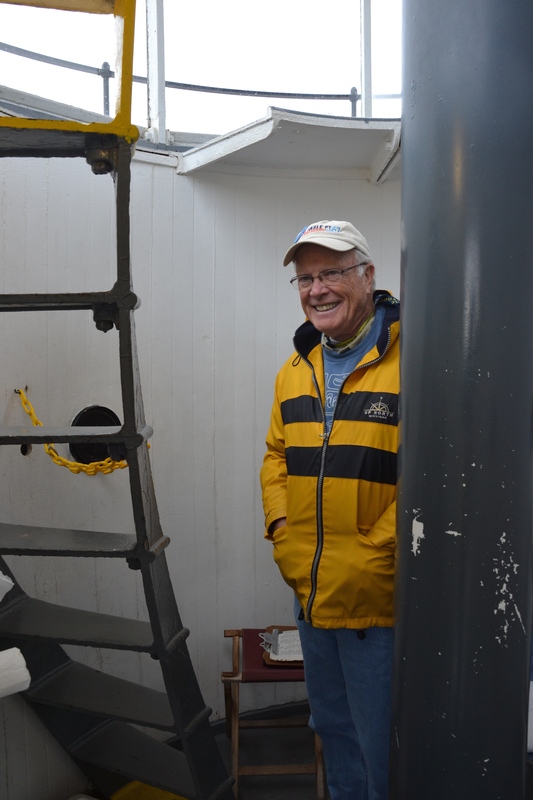 This is one of multiple locations in America — there are several in the Great Lakes region — where volunteers may actually stay at a lighthouse for a period of time and offer their services in a variety of assignments. At this site, they even stay in the original keepers’ quarters dating back to 1867. 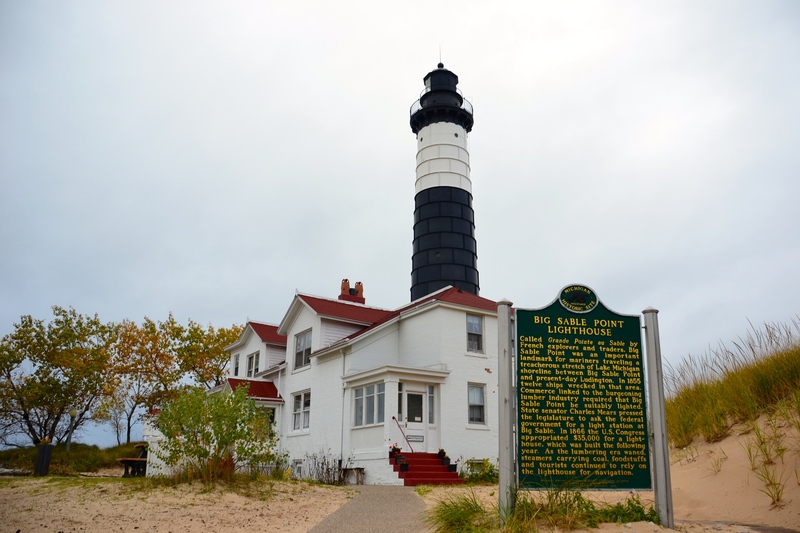 The historical 1867 lighthouse and keepers’ house at Big Sable Point. The folks who were on site when we visited are from all over the country and serve as guides, historical interpreters, and gift shop operators. They also help with maintenance and upkeep when needed. They stay here for two weeks at a time, then a new group arrives, a few of them overlapping to help with orientation. 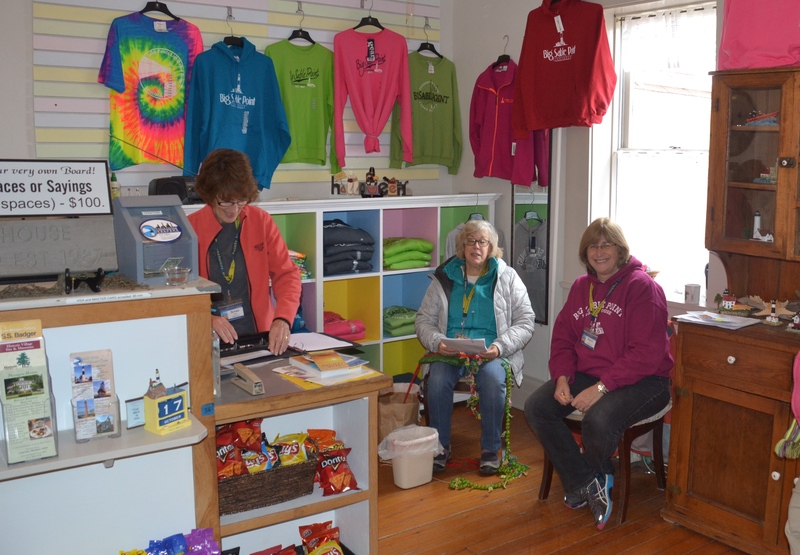 Resident volunteers run the gift shop and museum for visitors inside the historical lightkeepers house. The volunteers often develop a camaraderie and lifelong friendship during their stay at the lighthouse. 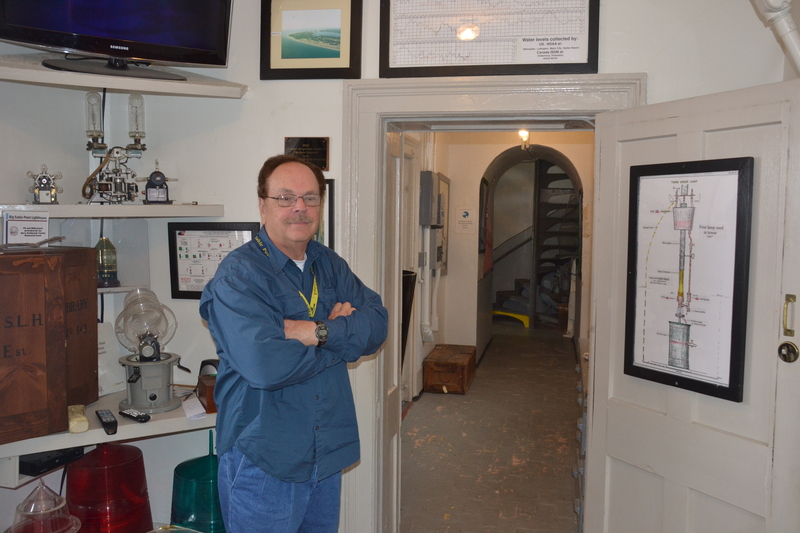 Russell welcomes tourists to examine the museum displays on their way to the tower stairway. Thom welcomes visitors to the lantern gallery near the top of the tower. Nancy welcomes new workers to the front door of the old keepers house. 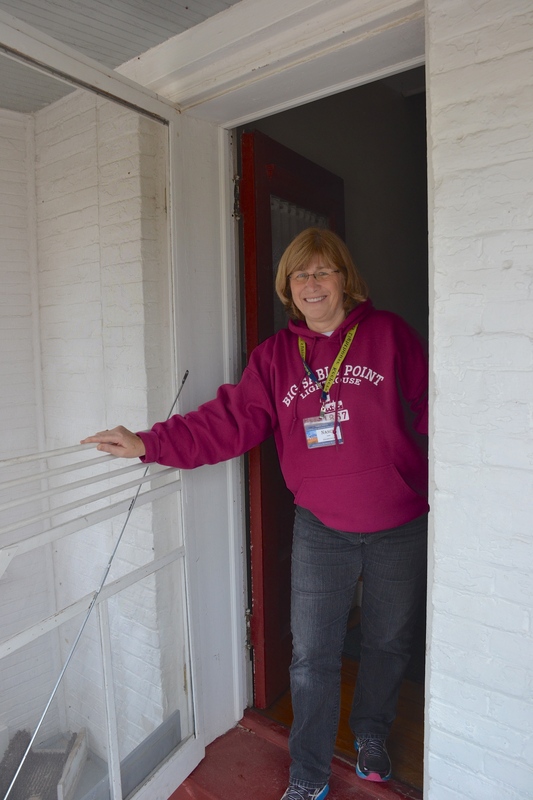 The volunteer light keepers stay in the upstairs rooms of the historical residence. Nancy’s first-hand ghost stories will send chills up and down your spine. This is one of several Michigan historical locations where paranormal activity has been observed and ghost stories abound. 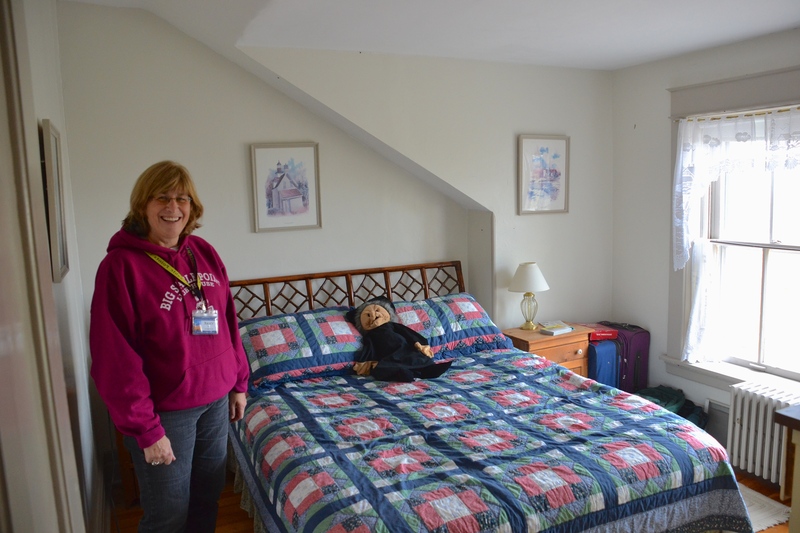 One of the regular workers, Nancy, tells of the ghost of a young girl who has appeared in an upstairs bedroom on at least one wildly stormy night apparently frightened and asking the residents if she can climb into bed with them. Now that’s downright creepy! Kaye and I are looking forward to pursuing our new dream of living and working at a 150-year-old lighthouse, and this spot would be our number one choice… even though the old fashioned beds are quite small and won’t offer enough room for more than the two of us in the bed at one time. Hopefully. My bucket list is a short one (and it does not include sky diving), and it’s going to take something pretty amazing to rival the Alaska Highway experience. This looks like a promising candidate. 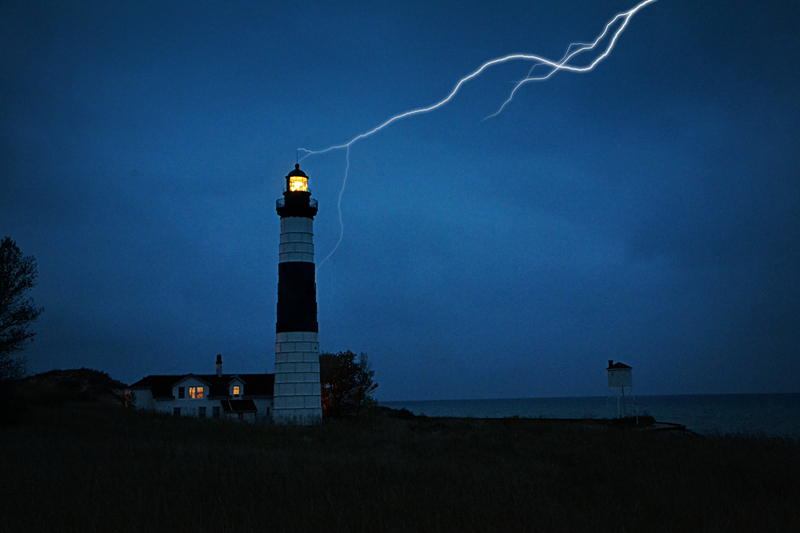 Postscript: We have been accepted and scheduled for a two-week stay at Big Sable Point Lighthouse for next fall. Come and visit us while we are on duty from September 14 – 28 and we’ll give you a personal tour of the historical light station! 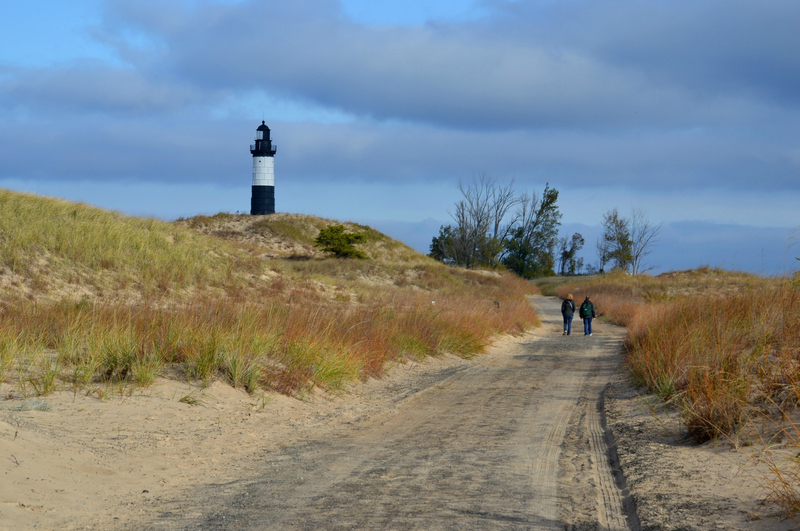 Maybe get a campsite at Ludington State Park; the lighthouse is a 1-1/2 mile hike from the campground. Nomadic Matt speaks for me when he describes his post-trip depression. Before I had been home from Alaska for a full month, I started getting restless again. As of now I’ve been home at the Michigan log cabin for less than two months and have already started making plans — and reservations — for the next journey… to the south this winter. I’m getting ready to scratch that travel itch. Adventure keeps calling. Click here to read Nomadic Matt’s post.